Across the globe, the Hustler® brand signifies innovation, strength, performance and superior customer care. Our mission is to provide the most dependable, useful and time-saving products in outdoor maintenance while priding ourselves in unmatched customer loyalty. 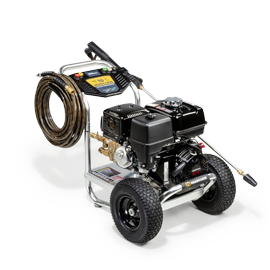 Now Hustler is bringing the same power and innovation to the world of pressure washing. 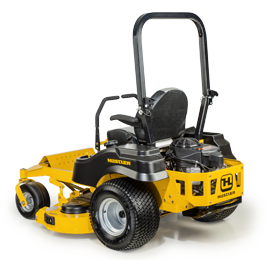 With top quality products that meet the demands of the toughest jobs, Hustler pressure washers are strong, durable machines that provide a superior cleaning experience. Maximum performance with minimal effort. Easy-to-use pressure washer that is great for cleaning decks, patios, house siding, outdoor furniture and prepping home exteriors for painting. Built with a powerful HONDA® engine, reliable triplex pump and ultra-lightweight aircraft grade aluminum frame. Ensures a professional grade cleaning experience for your fleet and facility maintenance. Built with a powerful HONDA® engine, reliable triplex pump and ultra-lightweight aircraft grade aluminum frame. Provides the pro clean for your oversized jobs. Belt-driven and built for long continuous running hours on the toughest jobs. Perfect for facility, fleet and property jobs that require extended cleaning times. Built with a powerful HONDA® engine, reliable triplex pump and ultra-lightweight aircraft grade aluminum frame. Built to perform for you with a wide range of commercial cleaning applications.